Centralnic Group PLC (LON:CNIC) Chief Executive Officer Ben Crawford caught up with DirectorsTalk for an exclusive interview to discuss the completion of the KeyDrive acquisition. Q1: Ben, when we last spoke we were talking about the acquisition of KeyDrive, what’s the significance to today’s announcement? A1: Today the acquisition is actually going through, so the shares are being issued both to the investors who put in the money for us to take out the minority shareholders as well as us issuing shares to the majority shareholder of KeyDrive who has taken Centralnic shares as consideration for his 54% of the business. Q2: They KeyDrive acquisition has a headline acquisition price of $55 million with £24 million being raised, how do those numbers work exactly? A2: Along the lines of what I was just mentioning in that there are three shareholders of KeyDrive, two of them are financial investors who are taking this opportunity to cash out, but the majority shareholder is taking Centralnic paper. So, we raised £24 million which covers the money going to the minority shareholders as well as the costs associated with doing the deal and the balance of that $55 million is payable in shares to Alex Siffrin, the founder of KeyDrive, who happily is now joining Centralnic as our Chief Operating Officer as well as being a significant shareholder now. Q3: How easy was it to raise these £24 million? A3: There’s always a lot of work involved, a lot of process but I’d say happily, we actually got 17 new funds joining our share register and if people look at our website at the new significant shareholder list, you’ll see that Chelverton came in at quite a considerable investment and is now a 6% shareholder. In addition to that, 85% of our existing institutional shareholders also increased their investment as well in our company. So, once people understood the deal and how it’s going to transform the business into a company which has 250% of the revenues of what we did last year and is a pure player recurring revenue business and very highly cash generative, I think all of those things added up to make institutions feel very positive. 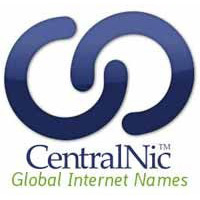 Q4: You’ve just touched on this but where does the deal take the much-enlarged Centralnic Group into the global domain name and web services industry? A4: Well, I think when we listed and first started appearing in the small land of DirectorsTalk back in 2013, we would’ve bene lucky to be in the top 1,000 companies in our industry. With this deal and all the organic growth from other deals in years gone by, it’s taken us to number 11 globally among retailers of what we call GTLD domain names and number 5 globally in the registry or wholesale part of the business. So, we’re definitely moving up the ranks and obviously our plan is to continue doing so at a fast pace.